GX Bridge Club is a long established members’ club which has been based in the Memorial Centre for many years. It is part of the Gerrards Cross Community Association’s Centre Section, and has a current membership of over 150. At the Club we play Duplicate Bridge on Monday evenings in the Colston Hall and Wednesday evenings in the Garden Room, beginning at 7.30pm, and normally play 24 boards, finishing before 10:30pm. We consider ourselves a friendly club and always welcome visitors who have some experience of playing and enjoying bridge. At a Monday session there are usually 15-18 tables and 5-8 tables on Wednesdays. Everyone can help themselves to coffee, tea and excellent biscuits during the evening (and the bar isn’t far away!). 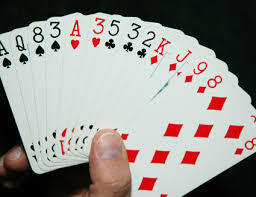 Boards are computer generated and pre-dealt, with hand records available after play too, and the results are available the next day on the Club’s website at http://www.bridgewebs.com/gerrardscross. We hold annual competitions for club members for a variety of trophies, and in December before Christmas we run a very popular fun bridge party evening. Once or twice a year a bridge weekend away is arranged at comfortable hotels within easy driving distance, and we also hold a Swiss Teams event on a Sunday in November, with lunch, at a comfortable local venue. The annual membership subscription is £10, which includes membership of the GXCA, and table money of £3 a session. (Visiting non-members pay £4 table money).